With the birds chirping, the sun shining, and winter behind us, we all have a little pep in our step and are in higher spirits. Gone is the dreary clothing in our wardrobe, and our bright, fun spring clothes are back in rotation. Just as our wardrobe goes through an overhaul, it is also a great time to give your home a new look. If you’re looking to give your walls a fresh new look with color, look no further, as we’ll share with you several of our favorite colors. To add depth and texture to your room, choose a color that’s bold, such as kettle black, which will make a sultry statement in your space and allow your accents to pop. 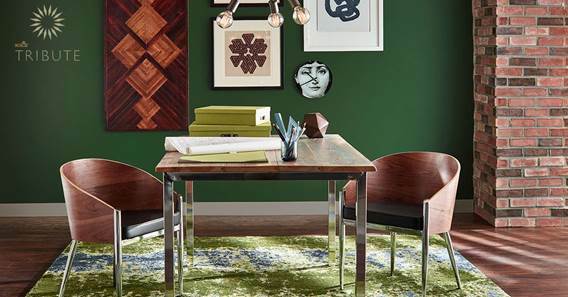 To create feelings of warmth and tranquility in your room, along with giving it a touch of the outdoors, consider selecting an emerald green paint. It’s colorful yet sophisticated, and simple yet dazzling, which makes this pop of color one that we are lusting over! We cannot get enough of golden yellow, and while it can be unappealing to some, if correctly used, it will add beauty and interest to the space. When paired with white, both colors work together to pop and creates a sense of elegance. 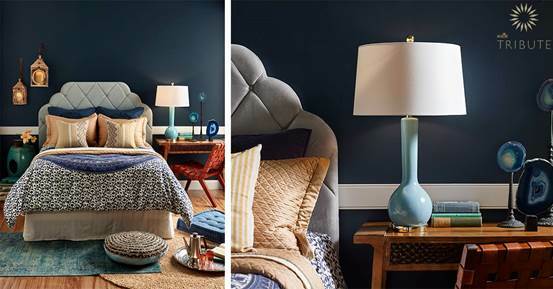 You want your room to make you happy, and this color will certainly bring a smile to your face. While the above colors are only 3 of more than 500 colors offered by Tribute Paint, we know that there will be a color that fits your family’s personality and home. 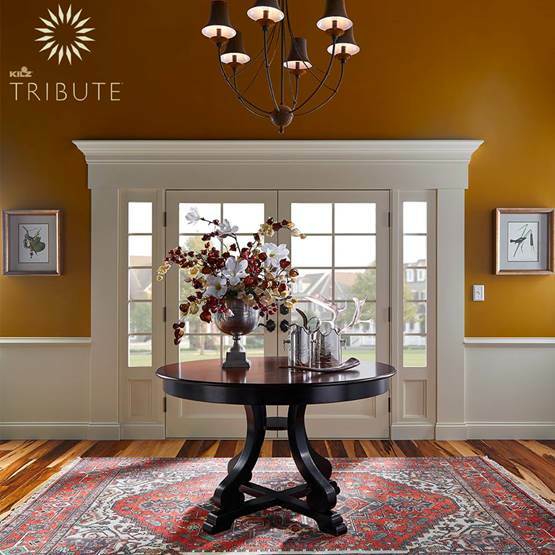 Tribute, which is an exclusive line of KILZ Paint, is the most technologically advanced acrylic product to date. It offers the best coverage, and with its exceptional stain resistant properties that resist future smears and spills, it is the perfect paint for a busy home. What colors are you considering painting your walls?